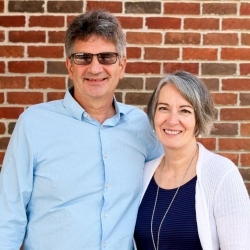 My wife Pam and I were called to Dayspring in 1986 and we have never looked back. In that time God has graciously directed us as a church family, leading us through many significant changes. Soon after coming to Dayspring I asked God to give me a word from His Word that would define our ministry. I felt led to John 1:14-17 where Scripture says that Jesus “came from the Father, full of grace and truth.” Through Jesus we “have all received grace upon grace.” As a follower of Jesus, in obedience to the core message delivered in and through Jesus, my assignment has been to deliver this same grace and truth. It is only in experiencing the fullness of God as Father, Jesus Christ the Son, and Holy Spirit, that we can be faithful to this call. 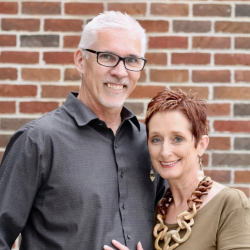 It’s been a privilege and joy to work with Dayspring’s younger folks since 1991, not long after God’s bend in the road steered me out of my path towards dentistry and onto His path of pursuing Him. My approach to ministry to young people has been shaped by Deuteronomy 11:19 where God tells His adults that EVERY moment is an opportunity to teach your children about me; so see those teaching opportunities when you “sit in your house, when you walk along the road, when you lie down, and when you rise up.” I love finding creative ways to show God to others and use my science background to teach a marine biology course in the Florida Keys and avidly watch birds and pretty much any other creatures that cross our path. God has gifted me with a shepherd’s heart and it has been a joy to shepherd Dayspringers from birth to baptism to graduation to adulthood and sometimes having children of their own. 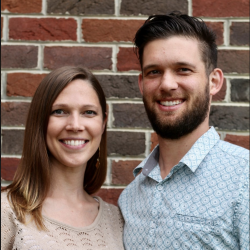 Though we joined the Dayspring family at different points in our lives (Sean grew up here and Hannah started attending while a Malone University student), our paths merged together at Dayspring when we married each other in 2014! Our journey in working with the Dayspring youth began in 2016 after spending a year in Bolivia, with God growing and stretching us during that time. The old African proverb that says, “It takes a village to raise a child,” still rings true today, and it is a privilege to be a part of the Dayspring “village” in raising children to chase after God’s heart. Our goal and our prayer is to follow after Proverbs 22:6 which says to “train up a child in the way he should go, and even when he is old he will not depart from it.” We believe children are one of God’s greatest gifts, and we love having the opportunity to walk beside the Dayspring youth for several years of their journey of life. I have been attending Dayspring with my family for almost 22 years. It has been a great place to raise our boys and everyone feels like family! I have always loved to teach – no matter the age group and over these years I have taught preschool through adults. I have been teaching our Children’s Church kids (age 3-grade 3) for 15 years now and have been Children’s Pastor for around 6-7 years. God has given me a heart for teaching our children just how amazing God made them and how to grow up in Jesus. In Children’s Church we combine music, crafts, object lessons, games/kinesthetic, and Bible time to learn Bible truths. I may lead the group, but the children teach ME a lot every time we meet! I love God and love my family. Dayspring has been a great church home, providing support in hard times and celebrating the good. We rejoice with those rejoicing and mourn with those in mourning. Raising two boys to be men of God has been a humbling, joyful and challenging task that I embrace with my wife’s hand in mine, and with a church congregation close enough to give and receive advice, stories and ideas. We have friends in Dayspring who have been through life’s experiences, friends walking with us in our current life experiences, and friends who have experience in their future. Scripture keeps us pointed in the right direction, and we encourage each other walking the walk. 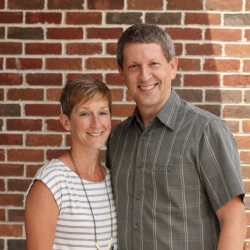 My wife Crystal grew up attending Dayspring, and in 2012 we made Dayspring our church home. We’ve been incredibly blessed to be a part of the Sunday morning services (Crystal has an incredible voice), and the Wednesday evening meals have been my favorite way to bond (over food). While none of us are perfect and the Dayspring Family seeks to walk with one another in this process it is certainly good news in verse 24 when it says: “God will make this happen, for he who calls you is faithful.” I have come to learn that not only has God given us relationship through Jesus, He’s also given us the Holy Spirit to help us and has promised to never leave us, even when hard things happen, even when we mess up. I find it so much easier to do this journey with others and have appreciated walking and growing together! 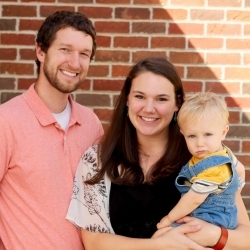 Our family found Dayspring Christian Fellowship in 2007 when looking for a new church home for almost a year. We felt immediately welcomed by the people but also Pastor Jim himself as he rushed to greet us at the back of the church where we had been sitting. The warmness of the people along with having the word of God preached from a Biblical authoritative position is what kept us coming back. There was also the added bonus of positive, upbeat music mixed with familiar hymns that resonated with us. Over the years, we have developed relationships that have helped keep our faith strong. The people at Dayspring are quick to give support and care when requests are made known. This created a safe environment for raising our children here and sharing life together. 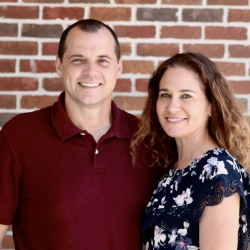 My wife, Angie, and I have served the church in different areas and we really appreciate the diverse talents God has given to people at our church. We are excited to see how God continues working through our church to reach the surrounding community and the world we impact. Dayspring Christian Fellowship has been church home for me since 1993 – what a blessing to be a part of this growing fellowship of people. God has done and is doing amazing things through the leadership and people of Dayspring. I have tremendous hope for what is yet to come. Teaching has been a consistent joy of mine throughout most of my time here, from adults and young adults, to youth, and both children’s Sunday School and Children’s Church, with which I am currently involved. Our relationship and walk with Jesus is our life blood so having the privilege of teaching others and walking with them as they grow in Christ is very precious to me. I have also been blessed to serve as an elder for a few terms. This has been a growing experience and I am thankful to be a part of such a tremendous leadership team. 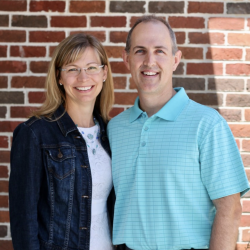 Lastly, my wife Jan and I have raised our three boys here and we are very thankful to be serving our Lord and Savior with our family of Dayspring.